If your floors are succumbing to years of wear, dirt, scuffs, scrapes and scratches, it may be time for an upgrade. Luckily, we install beautiful engineered hardwood floors of all finishes at a great value. Our engineered hardwood floors are not only durable, but will refresh and brighten up any room in the house. Our boards are 5″ wide and cut to any length that fits your needs, ensuring that you get the ideal look and perfect fit for your floor. We carry bamboo, hickory, oak, maple, pine and white oak, so you have plenty of options for your style and needs. 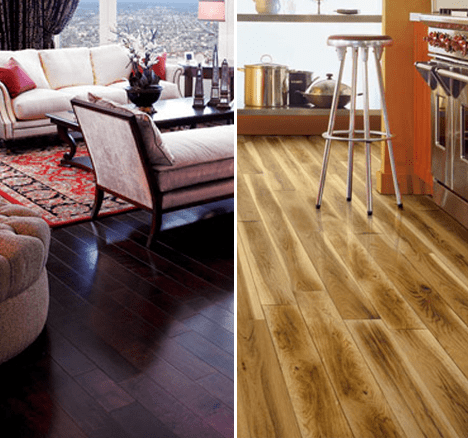 With our decades of experience, you can rest assured knowing that your new floors will be an investment well spent. We install floors properly so that they’ll continue looking great for years after we leave. If you’re ready for a brand new hardwood floor, call us today! We offer a wide variety of tile flooring options for modern kitchens, bathrooms or any room in the house that needs a change. We offer MSI tiles of all surfaces including porcelain, marble, granite, slate, ceramic, sandstone and more. If you can picture it in your head, we carry it. Our skilled team has years of experience installing tile flooring, so our execution is remarkable, ensuring that you have a perfect tile floor that will last for years. Call us today to find out more! Finding you the best option for your new floor is important to us. 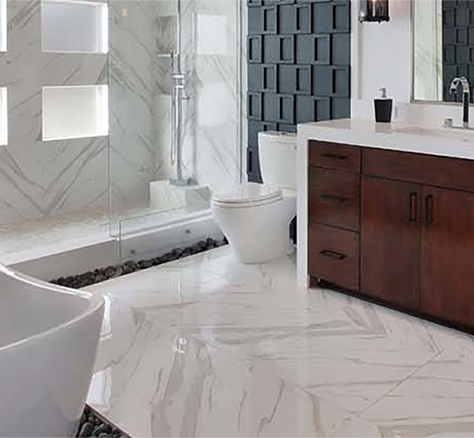 As we work with MSI, we’d recommend exploring their vast catalog of different tile materials and finishes. Visit their site to see for yourself and find your perfect floor today!